When it comes to social media marketing, the instinctive reaction is to think of popular networks, such as Facebook, Twitter, and Instagram. And that’s not surprising at all. 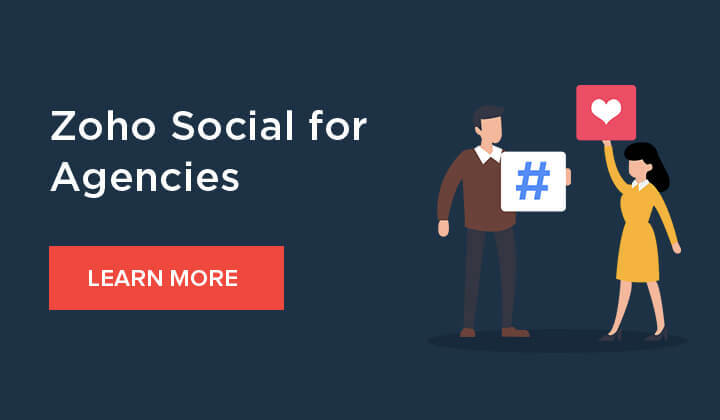 While these three networks have dominated much of the discussion—and traffic—online, many brands have started looking at other social channels as viable marketing platforms, as well. Among them, Tumblr has slowly been rising in popularity over the last few years. Consider this: Tumblr, at one point, had over 738 million unique visitors worldwide. In fact, Tumblr claims that their users actually spend more time on the website than they do on Facebook or Twitter. But what is Tumblr really? And is it a good idea for your brand to invest in the network at all? Tumblr is essentially a microblogging social media platform, designed with emphasis on sharing content. It’s free to join, and allows users to create multiple blogs, and post various types of content, such as text, images, quotes, links, and even music or video. What makes it different from the networks that you know? Tumblr will allow you to customize the color, theme, and layout of your blogs. The amount of control you get is unparalleled, and you can easily find Tumblr blogs that look absolutely nothing like each other. Whether your brand should be on Tumblr is a question that only you can answer. It will depend on the audience that you’re targeting, and the kind of content that you want to post. Tumblr would work well for a brand that’s targeting a younger audience—close to 70% of the userbase are between the ages of 18-34. The site would work well regardless of the gender you’re targeting, as the demographics sit at 50% each. If you’re going to build a presence on the channel, however, you should keep in mind that the content you create has to be slightly different from the other networks. While you can use a professional tone and be succesful on networks like LinkedIn or Facebook, the Tumblr community rewards creativity and humor. That is the kind of content that you should focus on if you’re going to establish your brand here. As with any other network, one of the first things that you’ll need to do before working on your Tumblr marketing strategy is to define your target audience and your goal. For your target audience, I’d recommend that you create the persona of your “ideal customer.” Get as specific as you can when you do this. Try to get a complete profile of your customer, including things like age, gender, income level, interests, and even hobbies. This will help you target your content more accurately. You could also take a look at the profile of your current users, and use that data to craft your target audience, as well. Given the nature of the channel, and the behavior of its users, building brand awareness would be a natural for any business here. However, you can also choose any of the other goals depending on what your business needs. Great, you now have a strategy ready for your Tumblr marketing efforts! Signing up on Tumblr is extremely simple. Just visit the homepage, and then click Get Started. Now, all you need to do is to enter your email address, choose a username, and then select a password. It’s that easy! When selecting a username, try to get an exact match for your brand’s name. If that isn’t available, you could also try to get a username corresponding to your website URL. Make sure that the profile picture that you choose is consistent with the one that you’re using on other channels, such as Facebook or Twitter. It’s a good idea to use your brand’s logo as the profile picture on all these channels, as this will make it easier for your followers on other social media platforms to find you. Once this is done, you can move on to selecting a theme for your blog. This is what your followers will see when they visit your page, so make sure you choose one that fits your brand perfectly and will make a great first impression. Tumblr has a huge collection of themes—some of them paid, and a lot of them free to use. Simply browse the different categories that are available and choose the one you like best. Irrespective of the theme that you choose to go with, Tumblr will offer you tons of customization options which are easy to use, even without any programming knowledge. Here are some of the options that are available on Tumblr. Title: You can provide a title for your Tumblr blog that will be displayed at the top of the page. Description: In some themes, you can display a short description just below the blog. You can describe yourself, your brand, your blog, or anything else you want your followers to know. Background color: This setting allows you to change the link color as well as the title color. Font: You can use this section to change the body and title font of your blog. Header Image: Here, you’ll be able to add a custom header image to your blog. Pages: This will allow you to create additional pages for your blog. You could have one page just for your content, and then create separate pages to showcase your best posts, or to showcase user-generated content, as well. This is a great strategy to market your content on Tumblr. Tumblr blogs are supposed to be clean, simple, and easy to navigate around, but with just one page on your blog, people may find it difficult to scroll through the endless stream of content. To combat this, you create separate pages so that your content is more streamlined and easier to navigate. You can create pages like “Most popular,” or “Must see” to draw attention to your best posts, or you can even create different pages for different types of content. This is a good way to ensure that your followers don’t miss out on anything you publish. And these are just some of the customization options that are available on Tumblr. You can get really granular and customize the border color for the search bar on your page, and even change how posts load on screen—from an infinite scroll, to having a manual “load more” option. We’d recommended that you play around with all of these options to figure out what you want to change, and how. Oh, and we should mention that all the changes you make can be immediately previewed to the right side of the customization columns that you see. Before you post any content onto your page, it’s a good idea to invest time in finding Tumblr blogs that are relevant to you and your industry. And there are a lot of communities that are active on Tumblr. You’ll be able to find just about anything—there’s even a page for cats that look like Ron Swanson. When we say that you can find absolutely anything on Tumblr, we mean it. Text: Text is the most basic form of content on the site. There’s no maximum character limit, and these posts can also contain pictures and other media. If you’re comfortable with HTML, you can even add formatting to your posts and edit them as you please. Consider Tumblr a blogging tool, and use it to provide information about your products, services, or any new updates for your company. Given the young demographic that Tumblr users belong to, it may be a good idea to incorporate humor into your posts. Photo: Photo posts are some of the most popular types of posts on Tumblr. Here, you can post several photos at once, as an album, and add some explanatory text to it as well. Quote: A quote post lets users highlight a particular quote they enjoy or find inspirational. This can be used in a business context to create engagement with your target market by highlighting something that you feel is important for your followers to take note of. Link: Link posts are similar to quote posts, but they’re used to highlight a specific link. Your brand can use this feature to draw attention to any promotional offers that you may be running, or you can even use this to draw people to your business home page. Chat: A chat is a type of post that’s unique to Tumblr. Users can simulate a conversation between two or more people and it will show up in a dialogue format. You can potentially use this for product descriptions or sharing information about your company, and this can be used to add another dimension to your posts. This feature can be handy, as it will give you a lot of opportunities to be humorous and witty with your content. Audio: With this type of post, you’ll be able to post music or sound clips to their blog. This file can be uploaded directly from your computer, or can be linked from an external source. This is a great way to add short notes to your blog, and can even be used to answer frequently asked questions directly on Tumblr. Video: Adding video content to blogs can be very useful for your brand. You can use video content to do just about anything—explain things about your brand, answer questions from your followers, or just post a general video to establish yourself in the space and grow awareness. Be sure to check out our guide on video marketing for a more indepth look at this kind of content! Apart from simply creating posts on Tumblr, you should keep in mind that the community thrives on two-way communication and actual engagement. You should always be on the lookout for posts that might be relevant to your business, and engage with them as frequently as possible. Reblog content that you think your followers would enjoy, as well, and you’ll soon find your Tumblr community growing. Another important thing to keep in mind when you make posts on Tumblr is to add tags to your content. Tags are how people on Tumblr find new content that’s relevant to them, so adding tags will make your content more discoverable to the community at large. Make sure to add tags that are relevant to your business and your posts. You can use Tumblr’s “trending” feature to find popular tags, and you can follow your competitors to see what kind of tags they’re using and then use them for your own posts. Finally, Tumblr as a channel has it’s own niche, and therefore, it’s own specific lingo. To find success on the channel, it’s important to be familiar with these terms. Luckily, there’s a nice glossary of Tumblr terms—be sure to familiarize yourself with them! The powerful opportunities that Tumblr provides is not lost on the channel. Tumblr gives businesses a host of features they can make use of to effectively market themselves on the channel. Sponsored Posts: Sponsored Posts are basically ads that are visible on the user’s dashboard. They behave exactly like regular Tumblr posts—users will be able to like, reblog, or follow—but these posts have a much greater reach because they don’t need to be following you to view the content. Sponsored posts can be targeted to users by age, gender, and even interests they’ve specified. A great advantage of this is that you’re only charged for engagement (likes, reblogs, and follows), and you won’t be charged by views. Tumblr claims that 70% of customers perceive a brand more favorably after seeing a sponsored post, and that is great news for your business. Sponsored Videos: Sponsored Videos are videos that autoplay and loop on the user’s dashboard. They behave very similar to sponsored posts in terms of targeting, except that there are additional analytics that are available—you’ll be able to see stats on views, loops, and engagement. The video player also pops out, so that users can continue watching the video as they scroll past your post. It’s a good idea to include a call to action in these posts, as CTAs can dramatically improve the performance of your ads. It’s been found that using CTAs can improve purchase intent by up to 14%, and even improve recommendation by 11%. Sponsored Day can be an extremely effective campaign type to run on Tumblr. In fact, the channel themselves found that the purchase intent and ad recall was up to 2x higher when compared to a control group. Apart from these three types of posts, Tumblr also offers an analytics tool, that you can use to figure out how your posts are performing. To access this, all you need to do is to click on the Analytics tab on the right side of your screen while running a paid campaign. While there are no in-depth analytics available as of yet, this is a good place to start if you want to figure out how your content is performing. Blog View: An overview of how your paid and organic content is performing on the site. Campaign View: Here, you can monitor ad performance by ad engagement rates, cost per engagement (CPE), and impressions. Post View: This will provide information on the performance of individual posts based on clicks, likes, reblogs, and impressions. Tumblr is a great site that you can use to market your brand online, and provides tons of opportunities to establish and grow your brand presence. Many brands have slowly recognized the power of Tumblr as a marketing resource, and have started adopting it as a platform for their businesses. Just follow the tips we’ve laid out for you here, and you’ll be on your way to Tumblr fame in no time! And that’s it from us today! Know of anything that we missed? Let us know in the comments below and we’ll be sure to get in touch with you as soon as possible!